The historic city of Hoi An is on the central coast of Vietnam and was a major international trading port up until the 19th century. 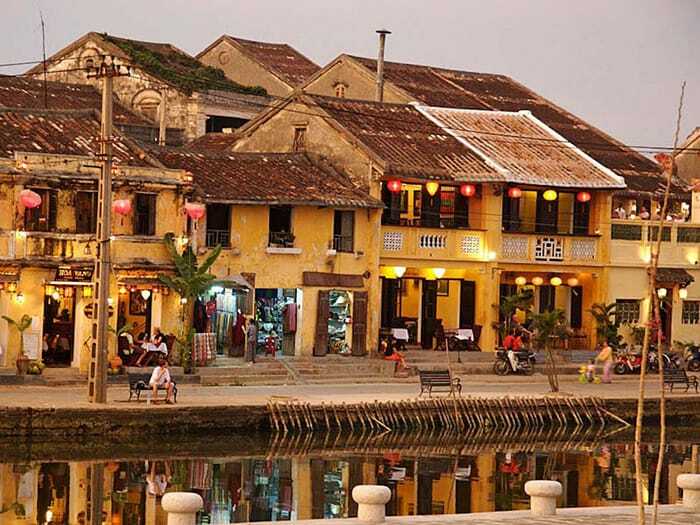 Hoi An has much to offer for tourists: excellent cuisine, ancient ruins, sandy beaches, great shopping, and enough historic buildings to make it a UNESCO World Heritage site. It’s one of the few cities in Vietnam that was not damaged by bombing during the Vietnam-American war. 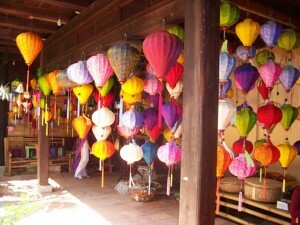 Thanks to this, Hoi An has lot of atmosphere and is one of the most popular tourist destinations in Vietnam. Despite the city’s small size, there are over 80 hotels here, ranging from exclusive resorts to budget hotels. Comfortable cafes and easy bike rentals make touring this city convenient and fun. Highlights of Hoi An include touring pagodas, taking a river cruise, and visiting historic buildings. 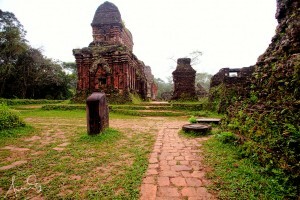 Nearby UNESCO sites are favorite day trips from Hoi An, including the famous My Son and Cham Towers. Shopping for custom-tailored clothing is a favorite activity, along with sunbathing at the nearby beach. 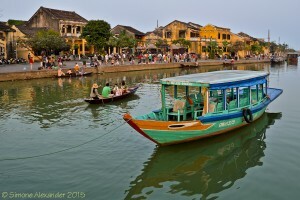 Here are the 10 top sights in Hoi An, Vietnam. This 16th century covered bridge (also called Cau Chua Pagoda) is the most popular landmark in Hoi An. Built by Japanese traders, the bridge is built over a small tributary of the Thu Bon River. It connects Nguyen Thi Minh Khai Street with Tran Phu Street (famous for its art galleries), right at the entrance to Old Quarter. 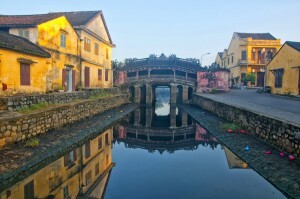 For centuries, the Japanese Covered Bridge has provided shelter from rain and sun to the people of Hoi An. The 18th century addition of a shrine to the Tao God Bac De (the Jade Emperor) is the only major change the bridge has undergone since it was built in 1593. 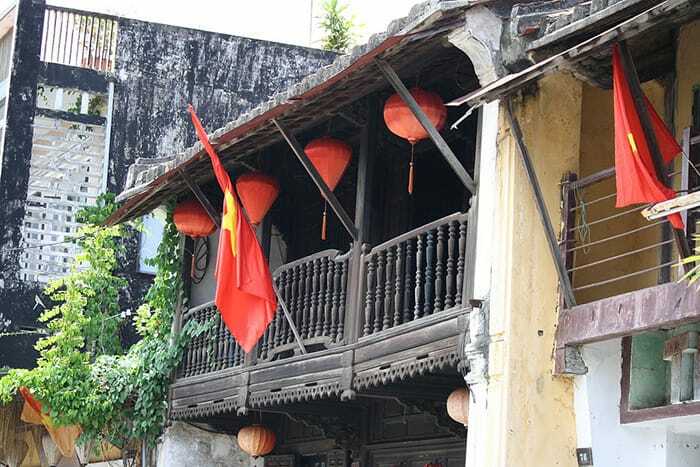 A stroll down the streets of Old Quarter is like going back to the time when Hoi An was one of the richest ports in the area. Designated as a UNESCO World Heritage Site, Old Quarter is a remarkable mix of architecture from China, Japan, France, Vietnam, and other areas. 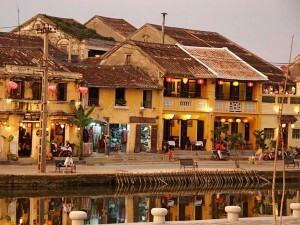 For 500 years, Hoi An was a major port in Asia and foreign traders waited for favorable winds in Hoi An for months. Some settled here permanently or built lavish homes for their annual visits. The elegant 18th century House of Tan Ky is open to visitors. You can visit Old Town’s monuments, chapels, community halls, cafes, and shops and partake of the ambiance of this quaint area. Open from 7:30am to 5pm daily, you can walk inside this resplendent 17th century temple to see statues of the Goddess of the Sea, Thien Hau, and her attendants. 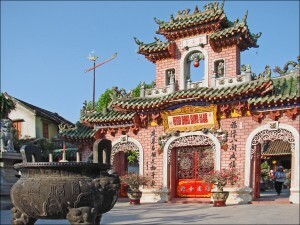 Originally a Buddhist temple built by the Viet people, it fell into disrepair in the 1800s and was sold to wealthy Chinese traders, who restored it and put in statues of different deities. 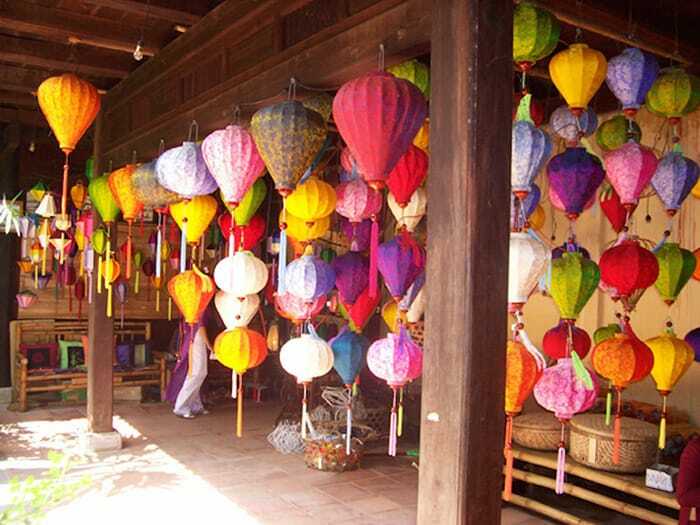 In this 200-year old building, you can watch artisans make finely crafted silk lanterns by hand or learn to make a lantern yourself with expert help. Twice a day, there is a cultural show with singing, traditional music, and dancing in the courtyard. 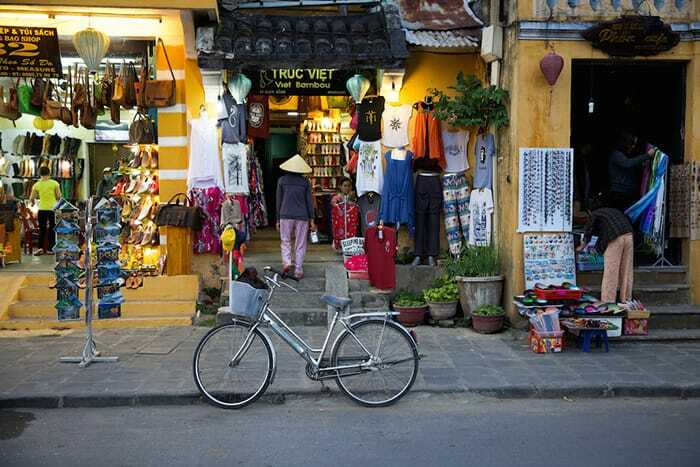 The two narrow streets of Central Market are filled with housewares, fresh produce, jewelry shops, and other items, but the most popular shops in the market are the clothing stores. Here, you can get custom-fitted clothing (in all sizes and fashions) at inexpensive prices. If you have a style in mind, bring in a photo and they’ll make it for you, usually within a day. Hoi An’s artisans became famous for their ceramics in the 16th century, and from this port some of the world’s finest wares were made. The museum showcases dishes and vases made during the 16th, 17th, and 18th century, including many that have been recovered in shipwrecks. 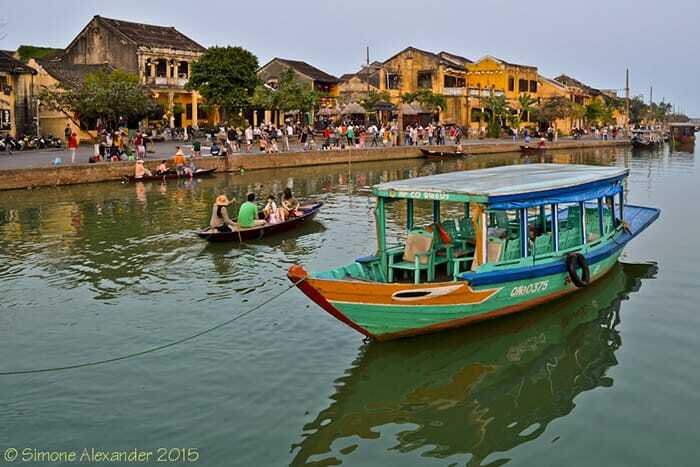 One of the best ways to appreciate the architecture and beauty of this city is by taking a river cruise from Hoi An along the Thu Bon River. 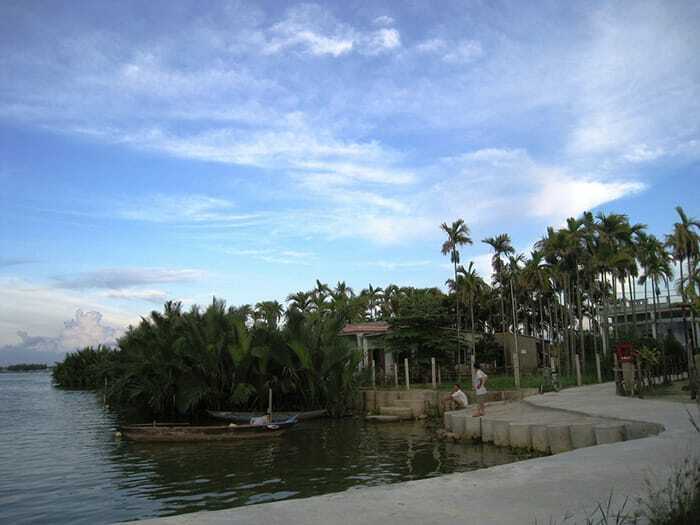 Along the river, you can see the intricate canal system cut through the city, and once you get past the city itself you can see what life is like along the lush green river beds for the fishermen and women who live here. 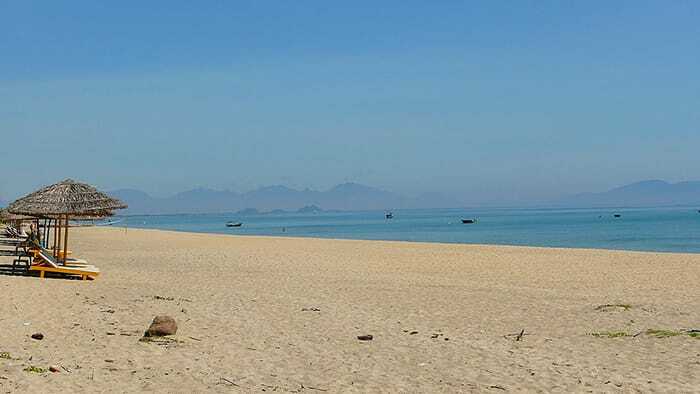 This charming, white sand beach is located just 4 km (2.48 mi) northeast of Hoi An and several Hoi An hotels and resorts are located here. It’s close enough to the city to get to by bike, although the roads can be crowded and difficult to navigate. 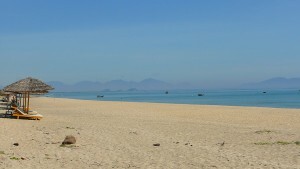 Although the beach is open year round to visitors, swimming season is April to October. Check the weather before you leave for the beach, though, as typhoons occur sporadically in August and September. Located 40km (25 mi) southwest of Hoi An is the world-famous My Son temple ruin complex, which includes ruins of 70 Hindu temples built between the 4th and 13 centuries. Here you can see intricate relief sculptures, stone pilasters, and walk inside thousand-year-old temples. The Cham towers are the most famous of these buildings. Only 20 temples are still standing today, due largely to bombing during the Vietnam War (known locally as the American War), as well as the effects of time. Inside some of the standing buildings are galleries of sculpture saved from the bombed out ruins. You can take a short ferry ride from the center of Hoi An to Cam Kim island, a rural island with rice paddies and farmhouses, which is a popular spot to explore by bike. Bike rentals and bike tours are available here, through quiet roads with little or no traffic that connect a few villages. The area’s famous wood carvers live here and you may see some at work. 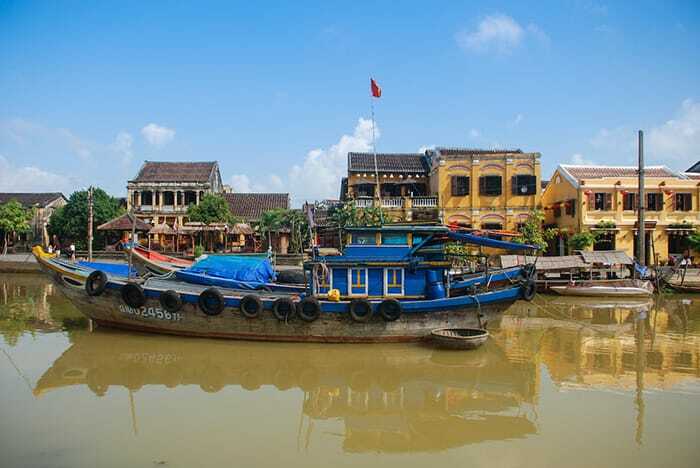 Visiting Hoi An, Vietnam offers something for everyone, whether you’re interested in sampling local cuisine, exploring ancient temples in the jungle, or visiting historical buildings. At Vietnam Visa, we take the hassle out of getting your tourist visa. You can get your Vietnam Visa safely and securely online at VietnamVisa.gov.vn.